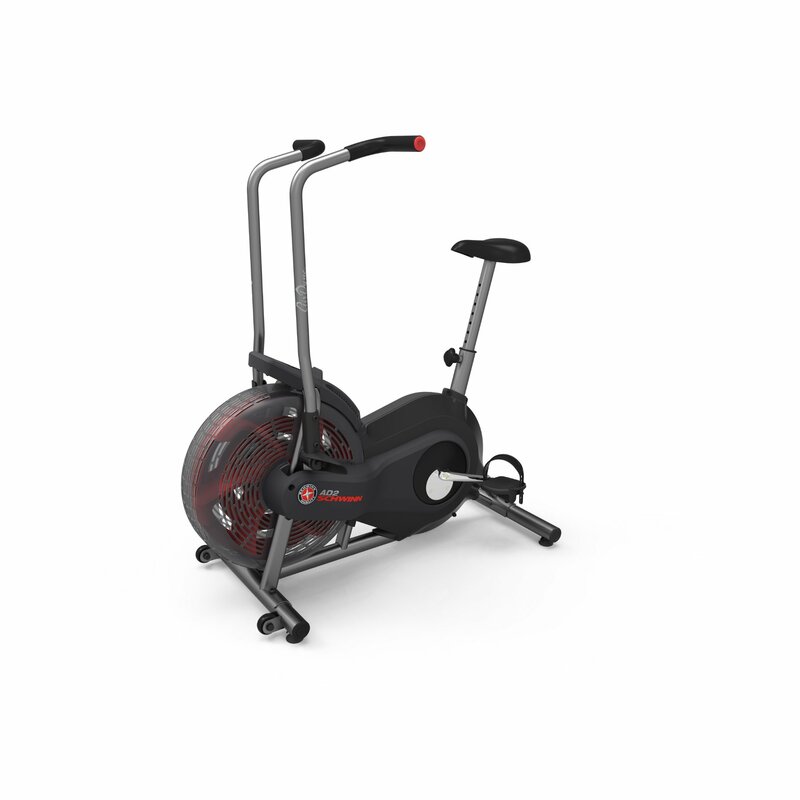 The Schwinn AD2 Airdyne is an exercise bike powered by air performance to deliver unparalleled body workouts. This bike offers variable resistance levels to challenge both novices and professional athletes. For users demanding the latest technology, it offers advanced feedback through an internal LCD display. Users can precisely monitor speed, workout time, calorie burn, and more. For extra convenience, all of this information is accessibly presented in front of users on the LCD display. Since the resistance of this device is powered by air, the exercise bike even works to cool athletes while working out. The bike has been designed, tested, and manufactured by the reputable Schwinn Bicycle company. Backed by a comprehensive manufacturer’s warranty, this exercise bike is truly built to last. As a demonstration of its durability, it supports the weight of users as heavy as 250 pounds. This means that even obese individuals trying to lose weight can take advantage of this exercise bike to become healthier. In addition to its functionality, it also looks great for placement anywhere in the home. LCD Display: The screen built into this exercise bike outputs important information like RPM, speed, total distance, and total calories burned. Supports 250 Pounds: When losing weight, it is nice to know that even obese users that are just getting started can take advantage of this exercise bike. Whether a trim athlete or heavy individual, it is built for all body sizes. Progressive Resistance: As performance improves, users can progressively increase the resistance levels on this exercise bike. Stationary Foot Pegs: These foot pegs ensure that users can enjoy a workout that puts minimal stress on joints and ligaments to prevent long-term health conditions. Comprehensive Warranty: When the manufacturer includes a comprehensive warranty, it demonstrates faith in the longevity of the product. The frame is covered for five years and the entire unit is covered for one year. Synchronized Motion: Both the handlebars and pedals are synchronized to simulate more natural human motions that are experienced in real workout conditions. This improves balance and gives the exercise bike a more instinctive feel. One of the best features of this exercise bike is the technology that has been built into the machine. It includes an LCD display backed by an advanced computer to control it. This feature is rarely seen on entry level exercise bikes in the marketplace today. For this reason, technologically-inclined users may prefer this bicycle for these features. When working out, it is a nice convenience to have the ability to check calorie burn and distance statistics. Instead of trying to measure this information alone, users can take advantage of modern technology to make this easier. The fact that the manufacturer includes a one-year warranty with the product shows that it is built to last long into the future. Since the frame is warranted for five years, users can also depend on the product remaining safe. This guarantee is provided as long as a users is less than 250 pounds. Many injuries that have been associated with exercise bikes were caused by frames collapsing. Backed by this warranty, it is clear that users will not need to worry about these problems with the Schwinn AD2 Airdyne exercise bike. Even heavier users will remain safe using this product since the rugged frame is designed specifically for them. Another great feature about this exercise bike is that it seeks to balance the user while in use. On many exercise bikes, users will become uncomfortable over time as bikes displace the natural foot positioning. This can lead to both short-term and long-term health problems that can cause discomfort, torn muscles, and even arthritis. To prevent this, the bike provides stationary foot pedals that lock into place to ensure that feet are positioned optimally throughout a workout. This can even prevent injuries when users accidentally slip off the pedals and they slam into the foot. Although these injuries are generally minor, they are a major concern for some users with fragile bones. The downside of this exercise bike is that it is an entry level product. Although it provides exceptional value for its price-point, it still lacks some of the leading features available in the marketplace. For example, it does not include a full-color display or synchronization with a smartphone. Although not required, these features make for a more enjoyable and user-friendly experience while working out. Another feature that is lacking on this product is fully adjustable foot pedals. Though users can lock the pedals into place, they are unable to adjust them laterally. This means that users will be unable to ensure that the distance between their feet is correct. Although not necessary, this adjustment can allow users to output more force and ensure that the right muscles are being stressed. In real-world conditions, this can lead to better stamina and improved performance. Overall, this bike provides all the features users need to get started with an exercise routine. With a rugged design, it is built for long cardiovascular workouts to help users improve their heart health and lose weight. As an extra advantage, the bike even looks great with a sleek design appropriate for either a gym or a home office. Although the bike does not provide some of the latest features on the market, it excels as an entry level product that users can enjoy. Incorporating a built-in computer system, this exercise bike provides users with sufficient information to fully understand their performance during a workout. With features that enable users to chart their progress in the long-run, this product can help individuals stay on-track to succeed at a workout plan. 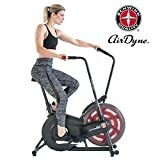 Whether training for an extensive marathon or just trying to lose a few pounds, this exercise bike is a great choice for individuals trying to stay healthy.